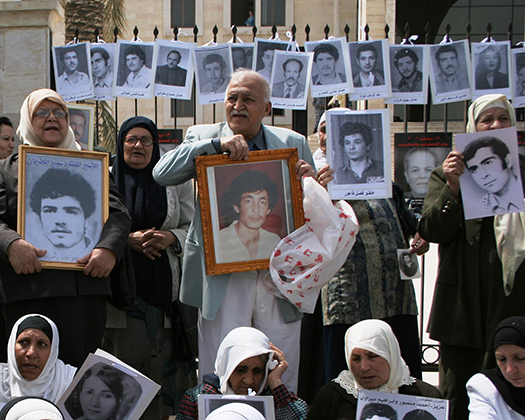 On November 12, 2018, Lebanon finally passed the long-awaited, landmark Law for Missing and Forcibly Disappeared Persons in Lebanon. This law constitutes a major step toward fulfilling the right to know of the victims’ families and confronting the issue of Lebanon’s missing and forcibly disappeared in all its social, legal, and economic dimensions. This breakthrough development is a result of the steadfast commitment of mobilized families and years of joint advocacy efforts, lobbying, and initiatives by local and international organizations aimed at advancing the families’ cause. The key feature of the law is that it establishes an independent national commission to investigate the fate of the missing and forcibly disappeared. By passing the law, Lebanon acknowledges a legacy of the past and ends the first phase of a long struggle for the victims’ families. The implementation of this law now depends on the will of the state to close one of the most painful chapters of the civil war. There are many challenges ahead. Principally, a decree appointing the 10 members of the commission must be issued by the government, but the government’s formation has been stalled for more than six months. It is also imperative to ensure that, in establishing the commission, impartiality and freedom from the interference of political and religious interests are utmost considerations. Another challenge is the controversial Article 37, which sparked a divisive debate during the parliamentary voting session. The article imposes criminal penalties on anyone who has aided in concealing a crime or is implicated in a disappearance. Despite criticisms leveled by the law’s detractors, all that the families want is to know the truth. Time also presents a challenge. Members of victims’ families are dying, and grave sites are being built over, making the establishment of a commission ever-more urgent. On the other hand, the commission’s mandate should not be limited to a certain period of time, but rather should allow for renewal or extension. Based on the best practices that ICTJ has observed in its work, the commission will likely require a sufficiently long mandate to execute its many complex and delicate operations. It will also need time to prepare before it becomes operational. Though not insurmountable, there are technical and financial hurdles as well. The commission must be sufficiently funded and staffed with diverse and highly trained experts who can perform their duties safely and free of political interference. Financing has become a battleground, with some involved in the process questioning proposed budgets and others defending the cost of a purely humanitarian commission meant to serve the memory of victims who lost their lives. To help lay the groundwork for the commission, ICTJ published a report in 2016 providing expert substantive, operational, and financial input, firmly based in the Lebanese context. The report is intended to serve as a reference tool for the drafting of the commission’s bylaws and operational budget. The passage of this law today represents a legal acknowledgment of the disappeared and gives fresh impetus to those advocating for the thousands of families’ right to know what happened to their missing loved ones. While there is still a long way to go and numerous obstacles lie ahead, with the necessary will, commitment, and determination, these families may finally have answers to their questions and may at last begin to heal.